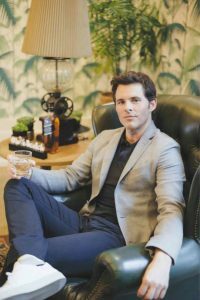 TORONTO — James Marsden tries to avoid slipping down the rabbit hole of emotional darkness in his career — and after the latest season of dystopian series “Westworld” the actor needed a palette cleanse. It’s one of the reasons Marsden says he signed onto “Sonic the Hedgehog,” a live-action and CGI animated flick based on the popular video game. While his character in the film is veiled in secrecy, he insists it’s nothing like Teddy, the robotic gunslinger he plays on TV. 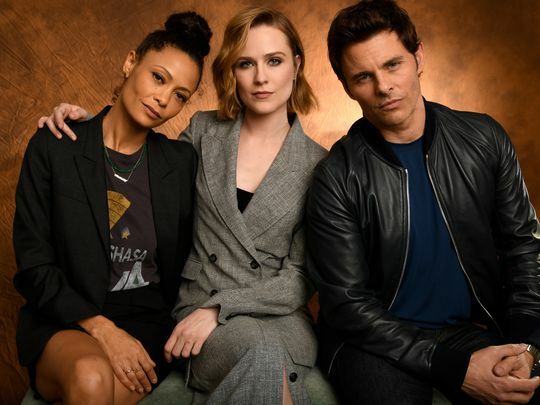 “I always try and do the polar opposite of what I just finished, and ‘Westworld’ is a heavy show,” he says of the series, which finishes its latest season Sunday on HBO Canada. With those words, paired with a single bullet, James Marsden’s Teddy Flood demonstrates just how much he’s changed — or been forced to change, more accurately. The gentle-hearted hero at the heart of Westworld transformed into a brutal killing machine midway through season two, thanks to Dolores (Evan Rachel Wood), who commanded the alterations in order to help Teddy survive their struggle. Even Dolores seems taken aback by how the changes have taken hold, caught off-guard in episode six, “Phase Space,” when Teddy shoots a prisoner dead in the middle of an interrogation. It’s similarly jarring to see Teddy offer a bullet to a man as a means of mercy, rather than save him from certain doom. Do Westworld robots cry real tears? That’d be a question for the bloggers and the Redditors who obsess over the hit HBO science-fiction mindbender. But right now, on a weekday morning in the Santa Monica Mountains, Teddy Flood is welling up. James Marsden, the actor who plays Flood, has just shared some heartfelt thoughts about family and fatherhood, and his eyes are moist. “Sorry, I get emotional when I talk about this stuff,” he says. He could blame the location—the small lake we just passed in Franklin Canyon Park is where the nostalgic opening for The Andy Griffith Show was filmed, with Opie and his Pa going fishing. We’re technically in the middle of Los Angeles but, as Marsden notes, it doesn’t look like Los Angeles. “That’s such an L.A. thing to say!” he says with a laugh. 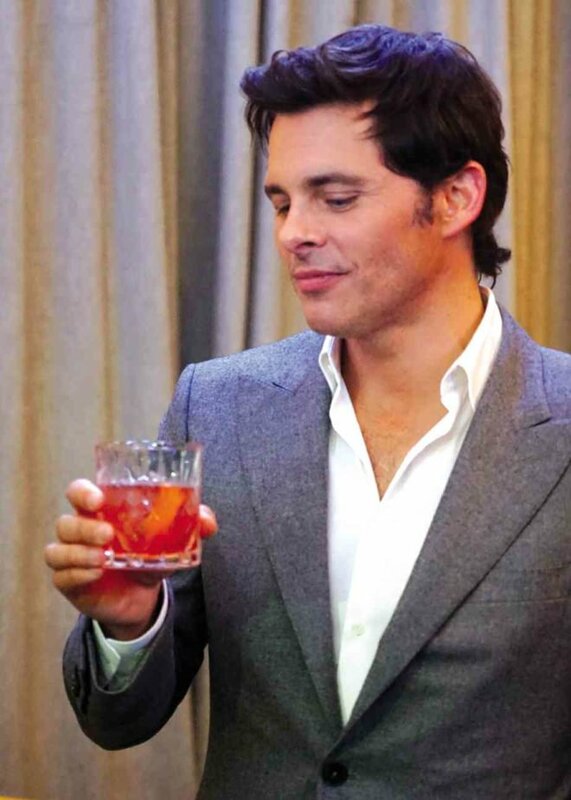 James Marsden is the poster boy for charming robots. In Sydney this week to promote Westworld, he was on stage in front of a giant poster of himself playing sentient robot Teddy Flood in the HBO show. Marsden might have ditched the cowboy hat and stubble in real life, but he still looks like a theme park’s version of a perfect human. But the good guy Teddy of season one (who died five times but was still so gosh-darn polite) has made way for a darker Teddy in season two. Now, his character is joining forces with other robot hosts on the show to rise up against the humans that run Westworld — and things are looking bloody. Hell yes. Still, as his character rebels against his creators on screen, Marsden is hoping artificial intelligence doesn’t get that far in the real world. Westworld star James Marsden isn’t a fan of new technology, and prefers to use his landline. The Enchanted actor stars as gunslinger Teddy Flood in HBO’s acclaimed hit series about a fictional, technologically advanced Wild-West-themed amusement park populated by android “hosts”. The show questions society’s rising dependence on technology and it seems that James isn’t very trusting of the technological advances spawned by the digital revolution.